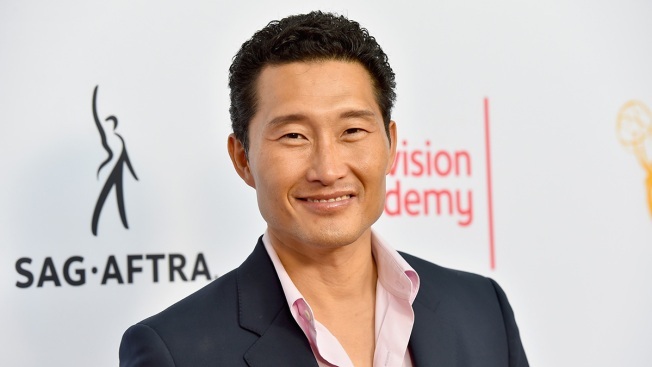 Actor Daniel Dae Kim leaves 'Hawaii Five-0' after seven seasons on the series. Daniel Dae Kim has broken his silence about his public exit from CBS's "Hawaii Five-0." Kim and Grace Park's exits from the long-running procedural were announced by CBS in a statement from the network and executive producer Peter M. Lenkov. Both had been with the reboot of the classic series since its start. "We are so appreciative of Daniel and Grace's enormous talents, professional excellence and the aloha spirit they brought to each and every one of our 168 episodes," CBS said in a statement. "They've helped us build an exciting new 'Hawaii Five-0,' and we wish them all the best and much success in their next chapters. Mahalo and a hui hou…"
According to reports, the actors left following a failed salary negotiation. "I will not be returning to 'Hawaii Five-0' when production starts next week. Though I made myself available to come back, CBS and I weren't able to agree to terms on a new contract, so I made the difficult choice not to continue," Kim said in a lengthy Facebook post. Kim, who also starred on "Lost," went on to thank the network and executive producers Lenkov, Alex Kurtzman and Roberto Orci. "I will always be grateful for their faith in me to bring Chin Ho Kelly to life. As an Asian American actor, I know first-hand how difficult it is to find opportunities at all, let alone play a well developed, three dimensional character like Chin Ho. I will miss him sincerely," Kim said. Kim thanked the fans for sticking with him and for their outpouring of support. "I'll end by saying that though transitions can be difficult, I encourage us all to look beyond the disappointment of this moment to the bigger picture. The path to equality is rarely easy," he said. Kim is an executive producer on ABC's "The Good Doctor," debuting the fall. "Hawaii Five-0" returns this fall for season eight and the exits will be addressed. "I will never forget meeting Daniel while still writing the pilot and being certain there was no other actor who I'd want to play Chin Ho Kelly," Lenkov said in a statement when the exits were announced. "Needless to say, Daniel has been an instrumental part of the success of 'Hawaii Five-0' over the past seven seasons and it has personally been a privilege to know him. Grace's presence gave 'Hawaii Five-0' a beauty and serenity to each episode. She was the consummate collaborator, helping build her character from Day 1. They will always be ohana to us, we will miss them and we wish them both all the best."